If you’ve followed this blog since summer, you may have noticed my frequency in posting has slightly declined. This is due in part to the MN hibernation mode I go into for winter, in part to kid chaos + homeschool awesomeness, and in part to the time-eating, panic-producing siding-project-gone-wrong! The old siding on our house was removed and replaced during the early winter months. The new siding looks fantastic – it’s the surrounding ground that we’ve been fretting over. Despite our very intentional efforts to hire a contractor to replace our siding who is certified in handling lead properly, an early winter thaw revealed that they did not contain the lead at all. With two children living here aged 6 and under, chickens pecking everywhere, plus tons of children coming and going from our babysitting co-op and our homeschool group, there is no place for a single lead paint chip in this yard, yet the sidewalks, garden beds near the house, and even part of the lawn looked sprinkled with confetti! 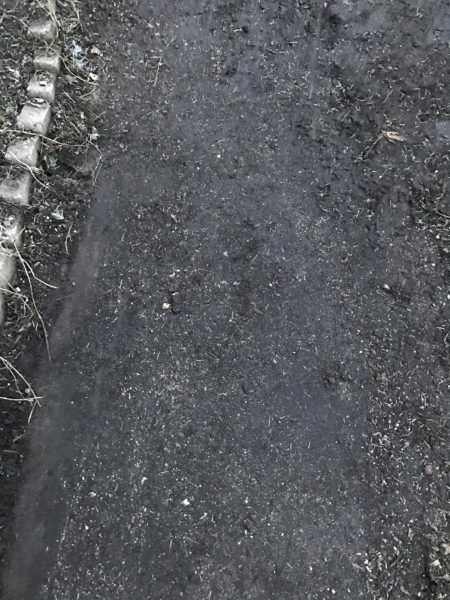 Soon after we became aware of this, we had some preliminary clean-up done so that walking and playing areas are safe for us and visitors, but we have yet to address the garden beds that were affected as we wait for the soil to thaw. 1. Gardens. People ask me often if their soil is okay to grow food in. Lead is of primary concern when evaluating soil safety, especially in urban areas. Yours might be ok, it might not. I’ll show you how to find out and what you can do to improve its safety for yourself and your family. 2. Awareness. There’s a lot of small children in this world. There’s a lot of toxic lead in the world. Too many people, these contractors included, are not aware of the dangers of lead exposure. I’m all about creating awareness so that fewer and fewer children test positive for lead as my children have. 3. Resources. I want to give you all the resources that I didn’t know of. I have put in a massive amount of hours of my life learning about lead, remediating this house of lead, educating others on lead… I want to put it all here and hopefully save someone time and headache. Why is lead so hazardous? All of us are exposed to some level of lead. Children are more at risk for lead poisoning because their bodies do not eliminate the lead that it encounters as well as an adult body does. Their still-developing nervous systems can be affected by this presence of lead, causing permanent damage to IQ, development, learning and behavior. Find a thorough list of the effects of lead in young children. What happens to our soil now? The end of our lead saga is not yet here, but I do know that our yard and garden beds will be restored to a non-hazardous state in the near future. After days and days of phone calls, countless hours of research, all culminating in a big meeting of negotiations, the contracting company has agreed to hire a lead abatement company to physically remove the contaminated soil from our house. Remediation will take place until tests pass a safety check and we are confident that the soil is safe for children to play in, chickens to scratch in and lots of food to grow there! We love our old house – a large duplex built in 1898. These turn-of-the-century homes steal my heart with their massive windows, tall ceilings, thin-planked maple hardwood flooring, built-ins, moulding, claw foot bathtubs… I could go on and on. They do however, almost certainly, contain lead because it was in paint used in homes until as late as 1978. If the paint is in good condition and dust or chips are not being created, there is not a hazard. It is the homes built before 1978 that contain deteriorating lead paint that are the primary source of lead exposure in young children. Lead is a metal that, when mixed with paint, makes the paint more weather-resistent. Lead paint is still used today on things like roads, bridges, and water towers. It is also found in vintage toys (I’m pro-thrifting, just be aware!) and a myriad of other things you wouldn’t necessarily think of, like jewelry. Educated yourself by scanning this list. It’s also useful to be aware if your job contains a lead hazard so that you can minimize bringing it into your own home on your clothes and shoes. Find a list of jobs with lead hazards here. You do not need to be afraid of old homes or despair if your child comes on the radar for lead. There are concrete steps that can be taken to ensure a safe place for you and your family. When we moved into this house I was pregnant and we did not know about the hazards of lead. Looking back, the windows were absolutely TERRIBLE. We didn’t have air-conditioning, so there were constantly fans in the windows, blowing all that dust right at us. Our windows are all replaced now thanks to the Sustainable Resource Center and I cringe at the old photos of the original windows. If you can pin-point the source of lead in your home and address it, you will be able to create a safe place for your family. 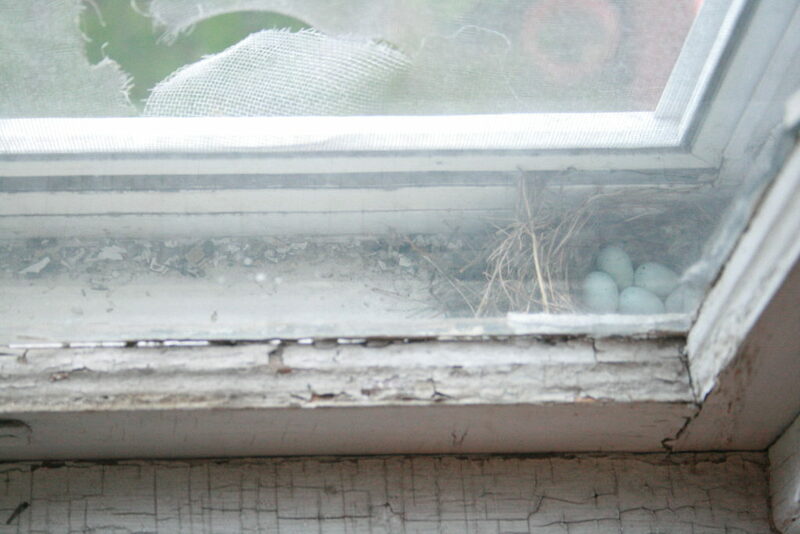 This old picture of the birds nest shows the huge lead hazard that was our old bathroom window. Keep painted trim work, window sills, door thresholds, stairs, etc. 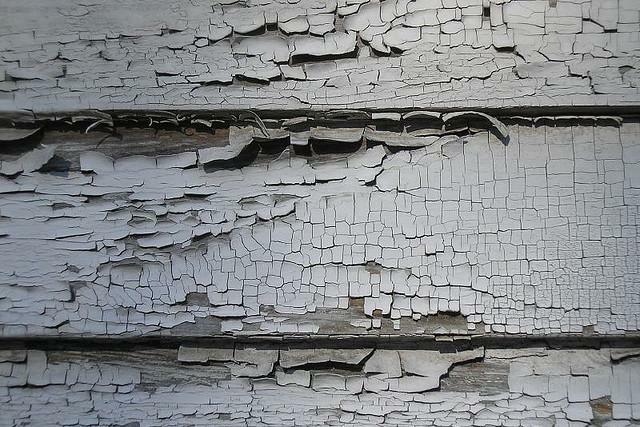 well-maintained to avoid any chipping or cracks in paint that would allow under-layers of lead paint to be revealed. 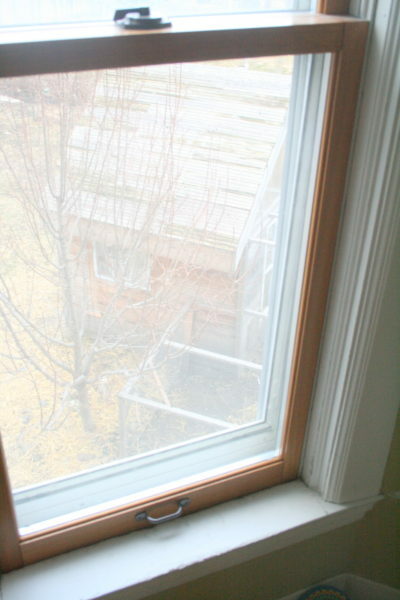 Wash window ledges and floors OFTEN using disposable clothes (wasteful, I know, but necessary). Clean by making one swipe only so as not to contaminate your water bucket with dust. Do not wear shoes from outside throughout your house as this can track in lead from the soil. Is there lead in my soil? Can I have a garden? Lead levels in soil are elevated in urban areas because of pollution from vehicle emissions, and chipping paint without follow-up remediation. However, it’s a good idea for everyone to run several soil tests when they move into a new place and plan to garden, or even just play in the dirt. Your local university extension office will do this for you. In Minnesota, you can get that here. (If you do not have a resource like this in your area, I encourage you to call this one to see if you can mail to them, or see if they have a recommendation for your area.) When you have your soil tested, you will likely not get a lead level of zero, but it is feasible that your level of lead is not high enough to present a hazard. Studies have shown that fruiting plants do not actually draw the lead up in their fruits. Lead levels are higher on things like root vegetables that are touching the dirt. The general level of lead considered safe for gardens is 500 ppm and the hazard is moreso in the dust and soil remaining on plants, not in the fruit itself. In this way, it’s best to wash your produce thoroughly, even if you grow an organic garden. However, that level becomes much more conservative at 100 ppm if you suspect a young child will be touching that soil, then putting their hands near their mouth. Don’t stop at a soil test. You can improve your lead levels in your growing medium by adding tons of compost and other amendments. We have significantly changed our soil composition in the seven years that we have been amending the soil with compost, mulch, animal manures, leaf mould, worm castings, wood ash, lime, various teas and more! You may also opt to haul in more than compost, building raised beds and filling them with dirt that you know is safe. If you have very high levels of lead in your soil, you should seek out professional lead abatement, or follow lead remediation steps. Bioremediation methods utilize innovative approaches such as growing plants that will take up the lead, then removing the plants. Read about bioremediation of lead in the soil here. Organizations to know if you suspect a lead hazard, exposure or lead poisoning. EPA – Contact your regional EPA office if you have concerns about how lead has been handled on your property. Your state’s pollution control agency – They could get involved if your contractor’s mishandling of lead is impacting public property (like sidewalks). Your state’s department of health – They may be in charge of enforcing EPA rules, or have other lead resources for you. In MN, they are taking over EPA enforcement because the regional EPA office is too far away (Chicago) and overburdened. Your county or your city may run lead-reduction grant programs to help remove the hazard from your home. The money is available via Housing and Urban Development at the national level (see here) and is then distributed locally. The lead issue surfaced in Pittsburgh associated with home water quality. Along with the water issues, people are now asking about lead in their homes. This is especially important for the children and testing became a priority. Because of all the steel production, most people who raise vegetables in town have raised bed gardens with fresh soil. Yes, it’s so sad that the contamination is so wide-spread!